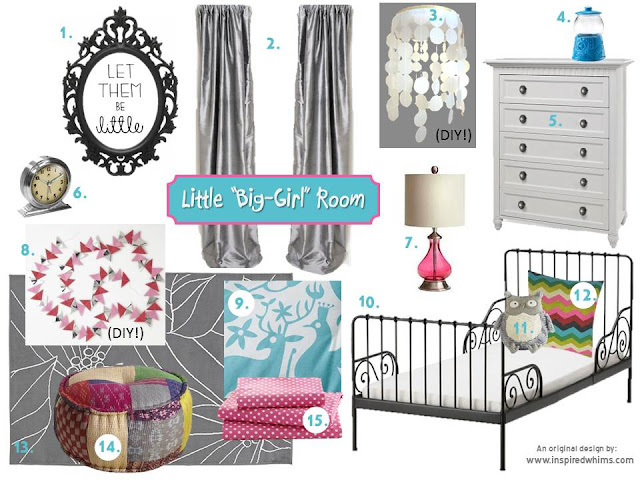 Remember this inspiration board for my little one's big-girl space? Well, we finally got her big-girl bed from Ikea, which officially makes her space a big-girl room! No more nursery for us (tear falling down my cheek). And, because I love you all, here are the links for the easy-peasy DIY instructions for making the Triangle Confetti Garland and the Capiz Shell Chandelier. Do you like the big-girl room? Which part is your favorite?? Do tell! So lovely! Nonna's favorite part is the Princess who loves to take me to "my room" when we Face Time. Hope to see the big girl princess space in person soon! Love it!! It's so girlie and fun. Good job, mama!